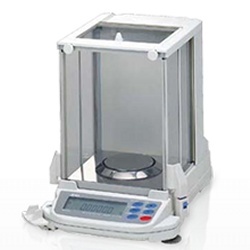 A&D Gemini series analytical balances with internal calibration, provide a larger weighing chamber and smaller footprint than conventional balances. These analytical balances are easy to use and calibrate, and adjust their settings based on environmental changes. Weighing is at the heart of many laboratory processes and the Gemini Series offers the features, performance and standard accessories to bring real convenience to your lab. The A&D Weighing Gemini Series balances, with internal calibration, provide a larger weighing chamber and smaller footprint than conventional balances. These analytical balances brought to you by Central Carolina Scale are easy to use and calibrate, and adjust their settings based on environmental changes.